Toolholders type “BMT” are used on cnc lathes Dmg Mori Seiki, Doosan, Nakamura Tome, Okuma, Mazak, Cmz, Biglia, Haas. The main production concerns static tool that guarantee maximum precision both for turning and for drilling and boring. 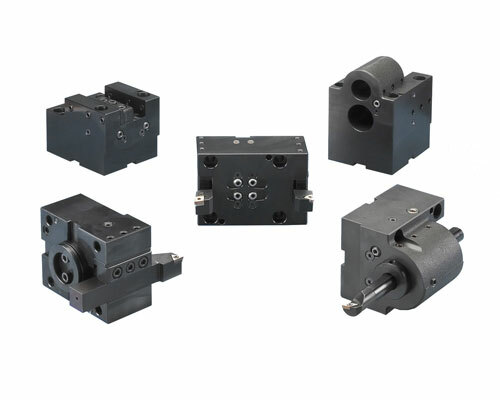 In particular, multiple tool holders have been designed for the assembly of many tools in a single station needed in lathes of new generation with the spindle, the counter spindle and rotary tool holders.